Lead your school of fish! You’re not alone in the ocean! Gather some colorful friends & try to survive in this dangerous world. Grow your group of fish, collect eggs & discover new species including the famous catfish! I love fish, being a proud owner of a couple Bettas and just in general a sympathetic person towards fish lives. That being said this might sound like a joke review but trust me, I’m being perfectly honest here when I say I absolutely love this game, and it makes me undeniably happy every time I open the game. The music is the catchiest and happiest thing you’ve ever listened to, and the fish look absolutely adorable. There are tons to catch and hourly rewards that help you get eggs to help fish for more fish! Honesty, the gameplay is smooth and fun, offering lots of quick thinking moments to avoid getting your school eaten, but I never really play the actual game. I open the app, collect my rewards, and fish for another fish to add to my collection, and that in itself makes me happy! It makes me a bit sad to play such a happy game and know that the little fish are gonna get eaten inevitably if I mess up or wanna finish my run. So I just collect fish and I’m content with that alone. All in all, I highly recommend this game, and i commend the devs for creating something so addicting and simple, I hope they add more to the game! This is a very cute game, and I love all of the graphics! It’s very peaceful and relaxing, and it’s a great time waster. I also like the music and all the little sounds, and I think it’s pretty cool that you can collect your own fish by hooking them. Definitely recommend downloading if you’re bored or if you just want to kill some time. 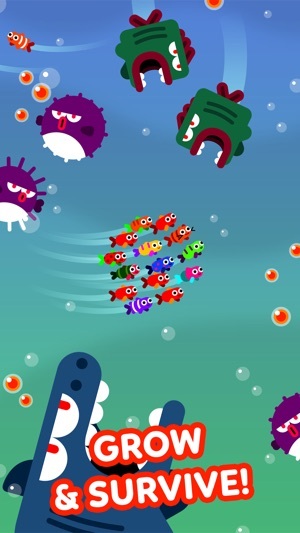 I think a few people have suggested this, but you should add more enemies and fish that you can collect. You should also make it a little easier when it gets to the shark part, because I always die at that part. 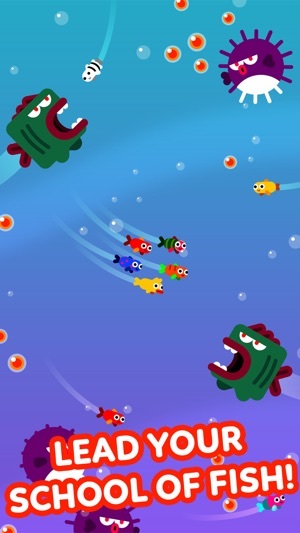 I also really want you to add like a “calm mode” or something, where there are no enemies and you can have your fish swimming around by you controlling without the worry of enemies. You should also add multiplayer mode, where you can play with other players and try to get the most fish in a school or something. And/or maybe you can battle instead. Anyway, that was my review, and keep up the good work! This is an amazing game! I get so addicted to it, I love the cute sounds and the music is fun and happy. 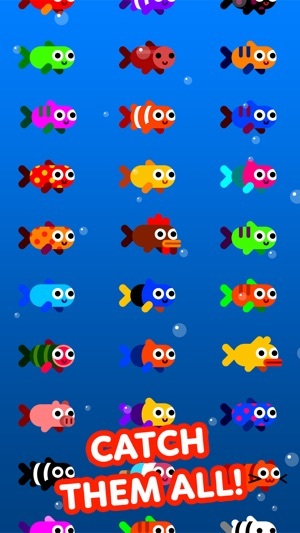 I like that you can see all the cute fish and they each have a cute name. 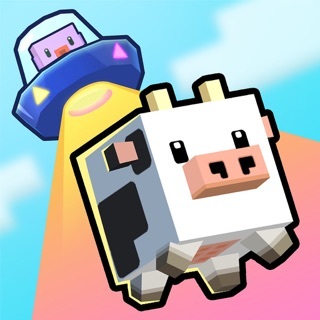 This is a really fun and cute game, however there are a couple problems I don’t like about it. I think that you shouldn’t have to spend so much money on limited edition characters and pouches of eggs. I want to be able to win them just by playing the game, and not having to spend money on something that isn’t even real. Another thing is there are a bunch of ads, and once or twice the adds have interrupted me while I was playing the game. Even if hey pop up afterwards, they are just constant and I have to wait through them, so I end up moving to anyone her game. Most of the time it’s he same ads (Talking Tom Goldrush) and it really annoys me. 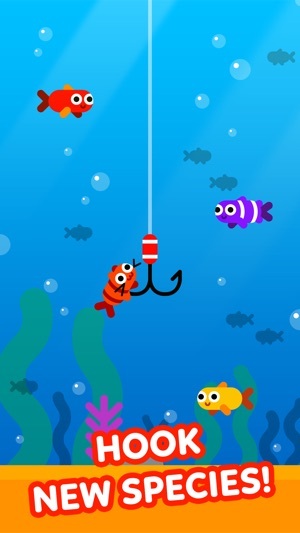 Other than that, the game is really fun and I enjoy playing it and hooking my own fish! !